Public speaking can be difficult to master. Craig Schoenfeld discusses the benefits of public speaking for your brand and company. 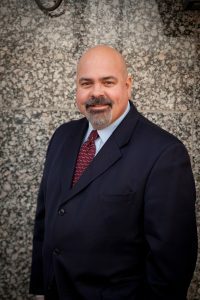 Des Moines, Iowa, United States, January 24, 2019,/EbizNewswire/ — With decades of experience in public affairs and politics, Craig Schoenfeld understands the importance of being a good public speaker, and just how much it can influence your brand and company. Craig Schoenfeld always reminds his clients that you have to be ok with the nerves. Feeling nervous is a common trait of public speaking, even for extroverts. Before your big speech, If you are feeling a little shy and nervous, it’s completely normal. Channel that nervous energy into the preparation and you will do great. Craig Schoenfeld also recommends planning ahead. Take plenty of time to tailor your message so that the listeners will pay attention and resonate with your speech. When you prepare, spend a significant amount of time on your introduction, leaving listeners with a great memorable moment that they can easily recall when referencing your speech. When you prepare it’s also important to consider your audience so that you can craft your speech to that specific group. Always remember that your speech is not about you, it’s always about your audience, this can help you craft a better message every single time. Something people easily forget, and Craig Schoenfeld always reminds his clients is to make eye contact with your audience. This will always communicate to your audience that you are speaking sincerely and it also has the added benefit of making you look confident and sure of your message. Adding enhanced visuals and audio to your presentation can also add a boost to your speech. By including a short or relevant video or photos and text, you can help your audience remember your speech and connect with it on a more personal level. These visuals can also help tell your brand or companies story, making you more relevant and getting your message across to a larger audience. 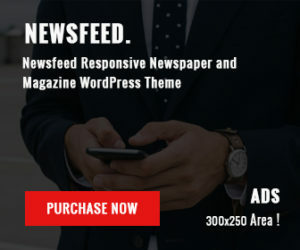 This can help elevate your message to a professional level and quick help you gain a reputation as an expert presenter, giving you credibility with different groups and businesses. 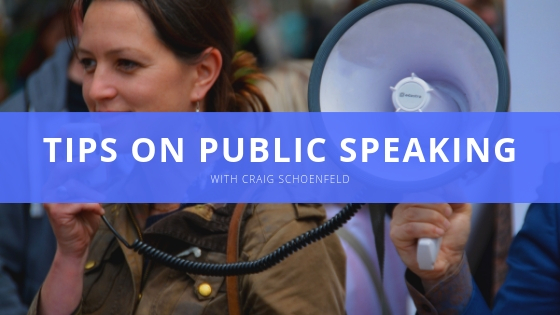 Public speaking can be a massive challenge to master, and Craig Schoenfeld is always available to help coach your company.